1) Cover the Clock : Seriously. Staring down that mile counter is only going to make time feel slower. 2) Pick a Podcast: Get lost in a true crime whodunit, catch up on celebrity gossip, or enjoy a world-building show. Either way, focusing on what’s between your headphones helps you ignore the monotony of treadmill running. Here’s a mid-year look at the best podcasts of 2018 so far. 3) Focus on Breathing: Match your breathing with your strides. Breathe in for three to four strides, then slowly let it out for three to four steps. Not only is this a useful distraction (and good practice for outdoor running), deep breathing lowers your heart rate and blood pressure. That ultimately translates to more efficient running. Score! 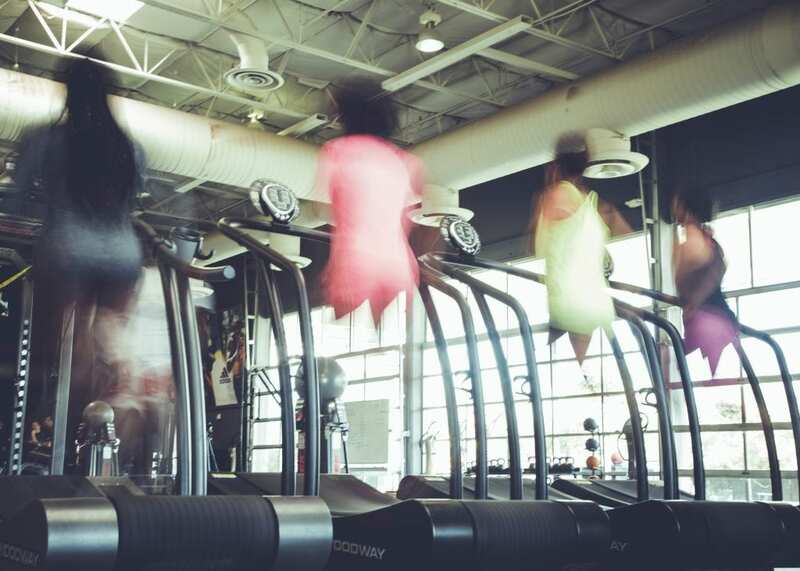 4) Moving on Up: Changing the steepness or “incline” of the treadmill provides a whole new workout. After a warm up jog, experiment with different levels of steepness and run for intervals of 1-2 minutes with a short walk in between. 5) Mind your Mantra: Treadmill running is as much (and maybe more) of a mental game as outdoor running. Pick a word to repeat in your mind like “stronger” or “rock star” and keep that your focus instead of the clock.